Tides of Infamy is a high seas adventure board game fraught with peril, where you command ships in a battle for infamy against fellow pirates, sea monsters, And the elements. 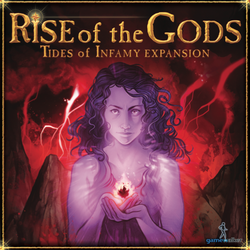 Compete to gain marks of infamy in this adventure on the high seas. Our first expansion is in the works! Follow us on Facebook for updates.